John is going to show us that how we live reveals who we’re living for. He points out the birthmarks of a true Christian so that we can be certain of our salvation. John begins this chapter with the words Little Children. This is a key term that John uses throughout his Epistles. It’s a nursery term to describe a small child. It’s John’s word for disciple, a person who requires tender care and instruction. He is talking to the body of Christ. Why is He writing these things to them? So they may not sin. But there is an underlying reason for his claim: so they can have assurance of their salvation. Jesus Christ is our advocate. Advocate is the made up of 2 greek words: Para and Kaleo. Para means to come alongside. Kaleo means to call. Together the words describes someone who comes alongside to aid or help us, especially in a court of law. The word is translated as counselor in some versions and helper and comforter in others. This term is used of a defense attorney who represents his client. Jesus uses the same word to describe the Holy Spirit. We see this word used 5 times in John’s gospel. Don’t confuse what John is saying. This is not a picture of Jesus, the loving and merciful defense attorney, standing before an unkind ruler in Heaven waiting to send people to Hell. This is a picture of love standing before justice. Jesus says to His Father, you may extend mercy to this sinner because of what I have done on the Cross. We have an advocate who raises his nail pierced hand when the accuser is condemned. ​​Jesus Appeased the Wrath of God. Don’t let the word propitiation intimidate you. It’s a big word that is not difficult to understand. You could translate the word as satisfaction. The sacrificial system was set up to satisfy the righteous demands of God as it pertained to sin and punishment. The death of Christ on the Cross canceled the sin by paying the debt that was owed to God; thereby, averting the anger that was meant for us. This reminds us of the mercy seat which covered the Ark of the Covenant in the Old Testament. This cover separated the Shekinah Glory of God and the Stone Tablets of the Law inside. Then the Priests would sprinkle the blood of an innocent animal on the seat for atonement of sin. John doesn’t say, Jesus is the propitiator of our sins. He is the propitiation of our sins. He is not ONLY the one offering the sacrifice to satisfy the wrath of God, He himself, is the SACRIFICE. Jesus is both the Priest and the propitiation for our sins. Jesus is both the offerer and offering of the sacrifice for our sins. How can we even wrap our minds around that? Whose sins did Christ pay for? Did Jesus die for those He knew would be saved or for the sins of the entire human race? A free offer of the Gospel can rightly be made to every person ever born. It is completely true that “whoever will” may come to Christ for salvation, and no one who comes to Him will be turned away. This free offer of the Gospel is extended in good faith to every person. 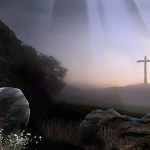 All agree that Christ’s death in itself has infinite merit and is in itself sufficient to pay the penalty of the sins of as many or as few as the Father and the Son decreed. Here is a good way to remember it: Jesus’s death was sufficient for all, but effectual or applied to some. Why? ​A. Our Salvation Was secured through the finished work of Christ. ​B. Our Salvation is affirmed through our obedience to Christ. And by this we know that we have come to know him, if we keep his commandments. 4 Whoever says “I know him” but does not keep his commandments is a liar, and the truth is not in him, 5 but whoever keeps his word, in him truly the love of God is perfected. By this we may know that we are in him: 6 whoever says he abides in him ought to walk in the same way in which he walked. Knowledge without action is an exercise in information aggregation. The word know saturates John’s Epistle. In fact, John used this term 30 times in this letter alone. He is not speaking of mental knowledge of facts or information. John is insinuating a personal, experiential knowledge of something through close interaction. When Jesus said, “And you will know the truth, and the truth will set you free” (John 8:32), He was not referring to gathering information or data. He was speaking of an deep, personal relationship with Him. Truth is a person. If this intimate knowledge could be transmitted instantly, Jesus would have placed His hands on the apostles’ heads and ordered, “Know the truth.” Instead, He said, “You shall know the truth,” instructing them that knowing Him is a process, the process of practicing the principles of the Bible in the walk of everyday life. Your assurance is confirmed by the 2 letter english word: IF. Your eternal destiny is one thing you don’t want to be iffy about. If you keep His commandments. If you obey, practice, and observe the Commandments in the Bible. Keep is NOT past tense. It’s a present tense verb describing continuous action. How do you know that you know that you know that you’re saved? If you keep on, keeping on, keeping on obeying the Lord. How can I finish to the end? Look to Jesus. He is our example. Why is John saying the commandment is new? We are not commanded to only love Christians or those we get along with. Jesus taught us to love our enemies and then displayed what this looked like. As He hung on that Cross in excruciating pain while the crowd mocked and spit upon him, He offered up these words to his Father, “Father, forgive them, for they know not what they do.” He prayed for the Romans soldiers who beat Him. He prayed for the Jewish leaders who lied about him and condemned Him. He prayed for the crowd who mocked him. Could you do something kind for a homeless man on the street after he curses you out and spits in your eyes? We must love our enemies. You must love those you like the least. If that is you, John would say that you have a problem. You have a heart problem and you’re living in darkness. Ask Jesus to take that away. Maybe you have been harboring hatred for years. You may ask, “When the Bible tells me to love all people, does that mean I have to like them?” You are never going to like everyone, even in Church. We are commanded to love them as Christ Loves us. Do you love God’s people? Do you love them enough to serve them? Do you love them enough to pray for them? Do you love them enough to worship with them? Do you love them enough to bear their burdens with them? Do you love them enough to forgive them? Do You love them enough to Give them a gift they can’t repay you for?